This ATE was developed to provide Production test capability to a variety of multi output AC to DC and DC-toDC power supplies. It is currently used to test over 15 different types. Change over between types is less then 5 minutes. 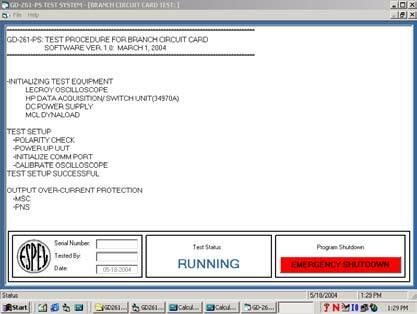 UUT specific Test Interface Box provides connection to the ATE and any specialize test circuit.